It's rare to find an artist who can do it all and do it well. 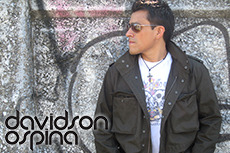 Davidson Ospina is that rare breed who is a world renowned producer, a sought after remixer, a successful record label owner and most importantly, an exceptionally talented DJ. His 2011 hits include "Well Of Love" featuring MJ White as well as remixes for Susu Bobien "I Got My Pride" and remixes for Dawn Tallman "U Turn". In 2012, Ospina released dance floor killer, "The More I Get - The More I Want" which features David Walker. Davidson Ospina started out just like any other kid from Queens in the early 80's, except he had an intense love of music. "My neighborhood exposed me to a wide variety of music. But, I was really inspired by the NYC break-dancing scene. The music at that time was so exciting and made you want to move. I felt the need to contribute to that." 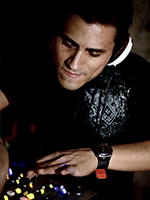 By his early teens Ospina was producing his own songs and remixing other famous artists' tracks. He was known as the kid with the keyboards and quickly became a staple in the blossoming New York Underground scene. With his evolving production work he introduced a more soulful sound to the underground. Ospina's influence on the musical direction of club culture helped established Underground superstars, like the Pet Shop Boys and Dimitri from Paris, who have also commissioned him for remixes of their tracks. Davidson Ospina's underground notoriety propelled him into the mainstream. 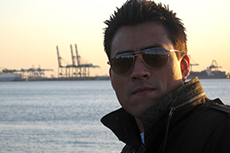 Popular artists, who wanted to be heard in the clubs, like Britney Spears, Christina Aguilera, Backstreet Boys, Enrique Iglesias, Gloria Estefan, and Marc Anthony, began to seek him out for remix work. These driving soul soaked productions and pulsating remixes created for A-list artists paid off big in 2006. Ospina scored his first #1 hit: the chart-topping remix of Christina Aguilera's "Ain't No Other Man". It became #1 on the Billboard Club and Radio Charts in September 2006 within only a week of its release. This was only the beginning. At that point, he launched his own record label and began to foster new talent. "DJing keeps me fresh and helps me see what directions the crowds are moving. I work at building an uplifting energy that gets more and more intense; that will keep the dance floor happy" Despite his production success, Ospina was never satisfied by being only a producer. He is and always will be a DJ. For Ospina, that means he has to play the decks with the same focus that makes him produce the intense bridge or sweeping chord change in a song. 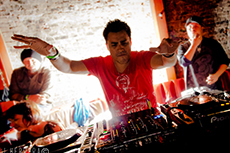 Ospina creates deep, funky, sweaty soul House music which frenzies crowds by lifting their sweaty souls up. Fans are left with a lasting, infectious experience. Ospina's undeniable skills as a DJ and world renowned producer has made him a highly sought after DJ in the underground as well as the trendiest venues in NYC and clubs spanning from the Americas to Europe.